A small fine-boned black brindle, Sorbet is a striking little girl. 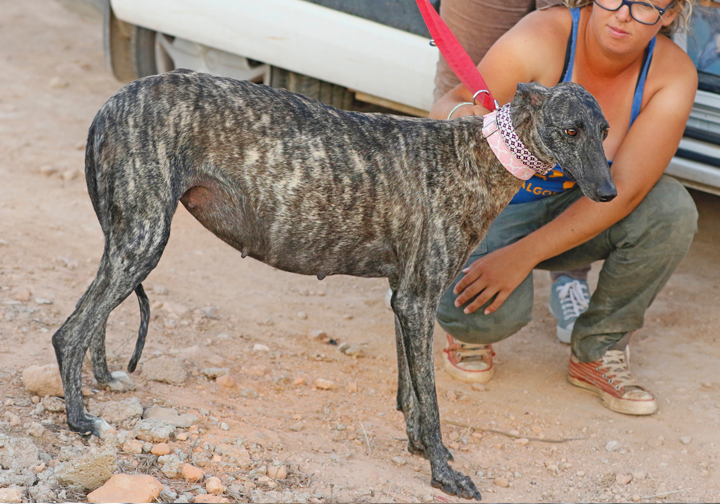 Rescued by GDS when she was heavily pregnant, Sorbet gave birth to nine puppies but only four survived due to Parvo. Despite being a mommy, we think. She is a little reserved but starting to trust and we know that in the right home Sorbet's shyness will melt away. Contact us for more information. Yes, I am interesting in sponsoring or adopting Sorbet!